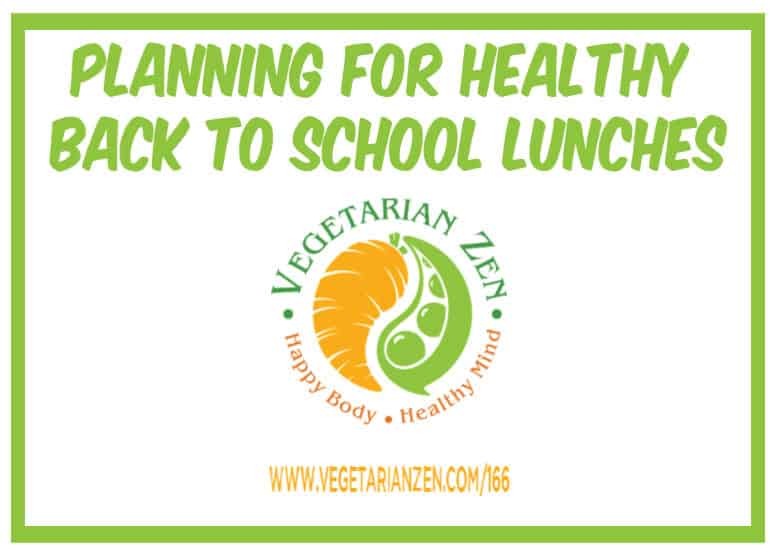 Parents and kids are gearing up for back to school, so in this episode of the Vegetarian Zen podcast, we’ll be talking about some ways to make school lunch planning and prep easier. We’ll also share some lunch suggestions from members of our Facebook group, the Peas and Carrots Society (What Up, Peas & Carrots!!). Question: If you have school-aged kids, what tips do you have for getting them back to school in healthy style?